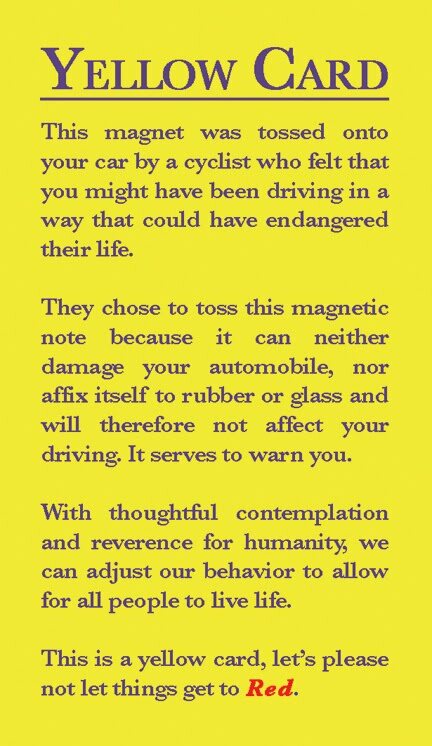 Problem is, magnets like these are not cheap on a per each basis. I got 1,000 These Come From Trees magnets made in the same form factor as the stickers, and rather than being $.05 a pop, like the stickers, they were like $1 a pop. 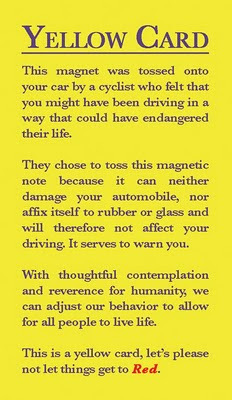 That's true, magnets ain't cheap - but if I were a frequent biker, I could see myself keeping $20 worth of these on hand to speak my mind to dangerous drivers!